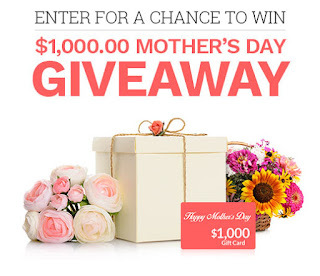 Java John Z's : $1,000 Mother's Day Giveaway! Enter for a chance to win the $1,000 Mother's Day Giveaway! Prize awarded is winners choice of $1,000 cash, or a $1,000 gift card, or other cash equivalent with a value of $1,000. This is a US only giveaway.